Category Archive for ‘food’ at The Green Peugeot: Listen up, you. I often claim that my greatest skill is that I can always pick the right container for the stuff I need to contain. 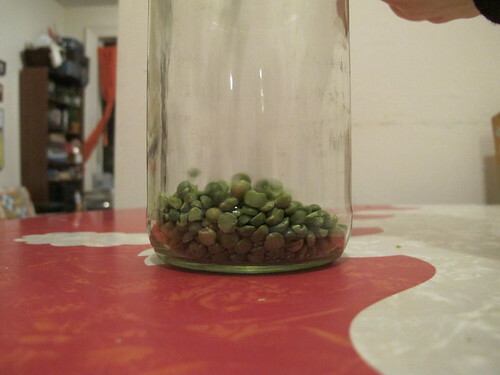 Marissa at Food in Jars admits that she’s not, and recommends taking your storage jars to the store. 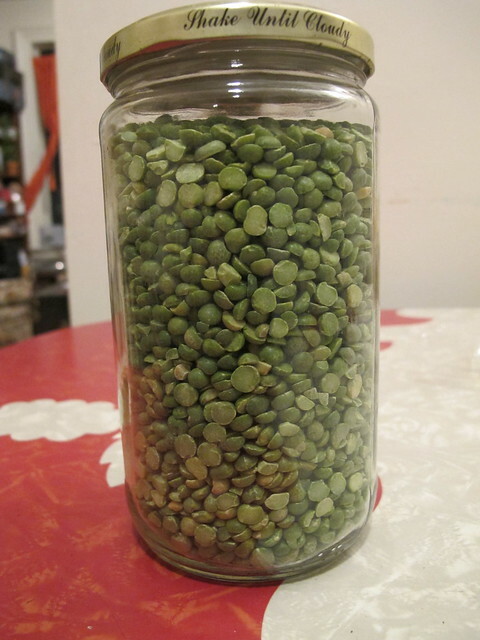 I, on the other hand, take immense pleasure in picking the right jar from my collection and having the beans/quinoa/nuts/buttons/leftovers fit just right. I guess I have the plastic bags left over, which Marissa doesn’t, but I don’t think that the coop could handle it if I brought jars. 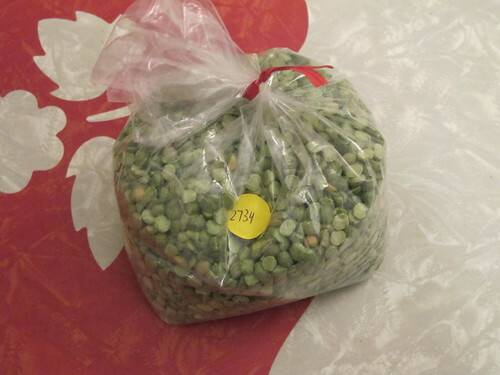 Here are the results of a little photograph-as-I-go experiment that I conducted the other day with a bagful of split peas (bought to make this soup). What you’re seeing is in real time, folks! Lemon curd! The first canning project of 2011. As I open and eat the things on the shelf, I rue not having kept better track of what they all were and where the recipes came from, so the 2011 canning diary shall serve as a record of this year’s jars of yum. And first up: lemon curd. The recipe is from Put ‘Em Up, page 174. I used 4 meyer lemons from the coop, one regular lemon. Zested the meyers, some of that zest went into the curd, the rest got mixed with salt as per this idea. 4 eggs from Anna & Naf’s chickens. 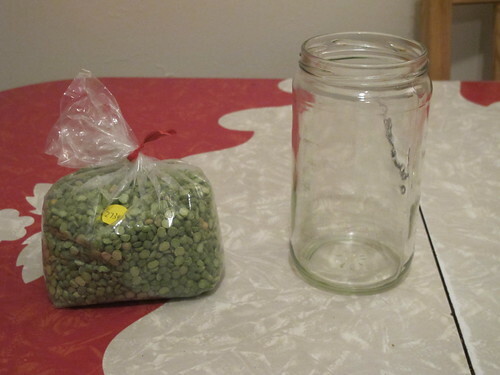 The whole thing made 3 half-pint jars, and 3 quarter-pint jars. It was unreasonably delicious when I licked the spatula (and the bottom of the pot), but the mixture separated a bit during canning. It’s totally fine when I stir it up before eating, and it stays together pretty well in the fridge, but I don’t think that it’s as jelled as it could be. This is either because 1) I didn’t strain it as the recipe said to do, or 2) I should have cooked it for longer. Sherri Brooks Vinton says it takes 10 minutes of whisking to thicken, other recipes on the internet say 20. I’m going to try grapefruit for the next curd, and will probably cook it for longer. 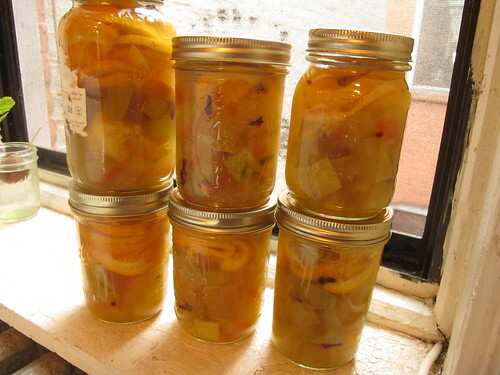 This morning I made jalapeno-pear jam. 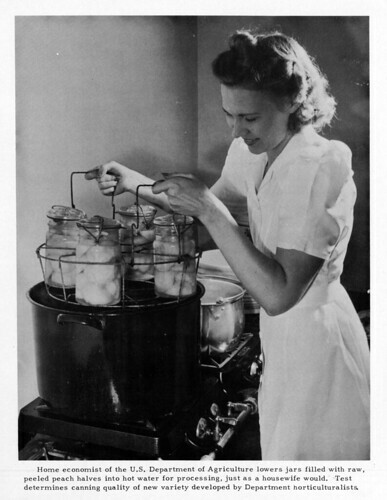 I read all my canning books and few canning blogs and the instructions that came with the pectin, and decided how I would do it. After I did the canning I licked the pot that I had cooked it all in–it’s good, only a little bit spicy, still going to be excellent in a PB&J sandwich. 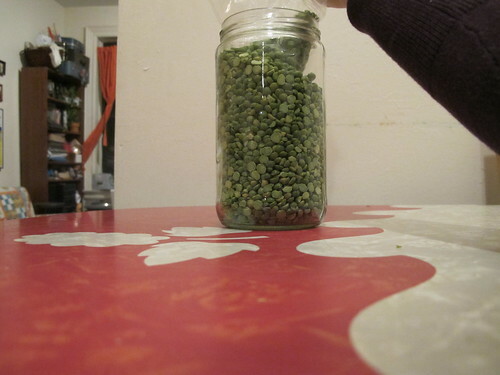 I thought that I would do some sort of round up of all this year’s canning projects. They’re a sort of funny thing to make: somewhat permanent, in that the making fills shelves and cupboards, but then they get eaten and gifted and they disappear. So they do need a bit of chronicling, but I should do it write and figure out the recipes for each, so they can get recreated. That may never happen. 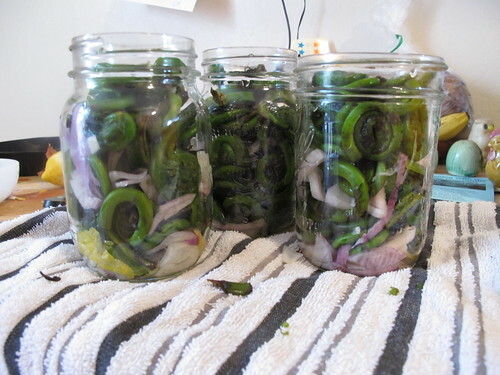 But I will say that we opened the pickled fiddleheads the other day–they were this year’s first canning project, back in May when it was fiddlehead time. And so they are delicious and somewhat anachronistic. Though maybe vinegar makes things timeless. Here is a photograph of the pickled eggs in action at my birthday garden party. There’s Barbara on the left, with a pink pickled egg on her fork, and Sara on the right eating something else. And here is a photograph of me and Ms. Naomi Adiv, at the same party. 2 years in America, my phone contract is up for renewal, and I am coming to realize that I just don’t want an iPhone, or any other “cool” phone. Maybe I want a Razr, they were cool phones once. It’s nice to know that my friend Kenan doesn’t really want one either. Not that I am anti-technology, mind you. 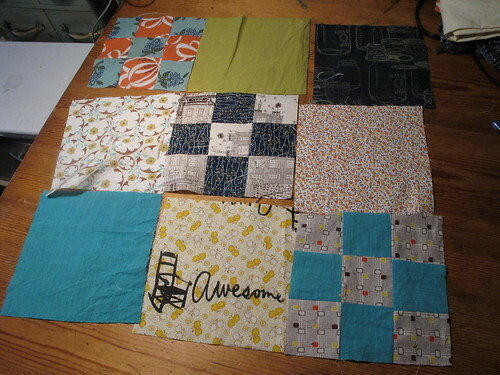 I very much appreciate my sewing machine, which I used to make a banner for the Crow Hill Community Garden, and am using to piece together some blocks for a quilt (one for myself and my home, this time). Also, I like my new dehydrator, gifted by Emily in her going-away-paring down. Sara, my awesome new roommate, and I made kale chips, with kale she grew in her friend Stefan’s garden. 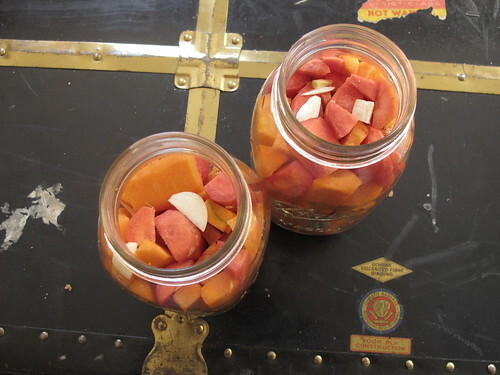 Monday was watermelon-rind pickling day. Man–that’s a serious process. Even just peeling and cubing the rinds is tons of work (that was done slowly, as I ate up watermelon). Then soaking in brine. Then rinsing and boiling. Then boiling sugar and vinegar and fruit. Then adding the rinds back in. Then removing them and reducing the syrup. 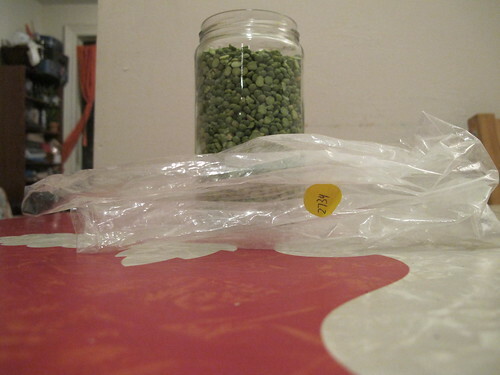 And then sterilizing and packing and processing. I went to bed much later than I should have; I hope these things are delicious in the end! 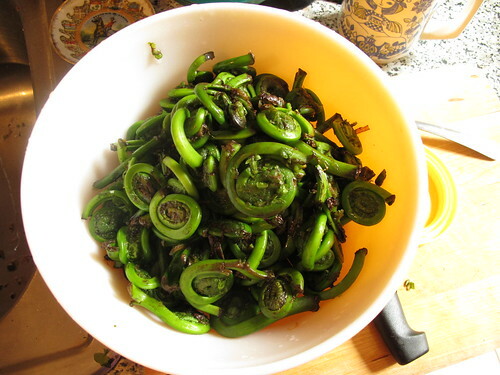 This coop haul included fiddleheads. I took them up to Anna and Naf’s the other weekend, we ate them with eggs and they were delicious. 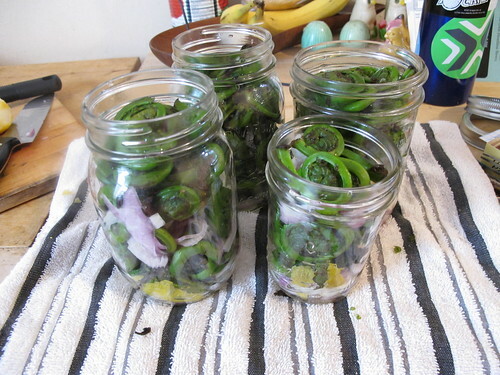 Fiddleheads were totally destined to be the first canning project of the summer. So I bought more. Anyhow, after a bit of googling I decided on this recipe from Fat of The Land and learned that if your recipe doesn’t have photos I don’t really consider making it. Which is silly, but true. 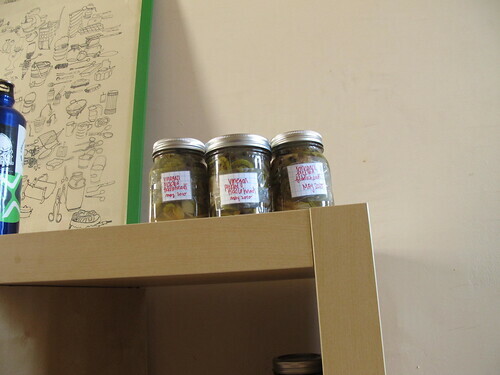 Now the jars are just hanging out…to be eaten in November or February! coop haul may 10,originally uploaded by dorywithserifs. Much of this is destined to become Leek Bread Pudding. 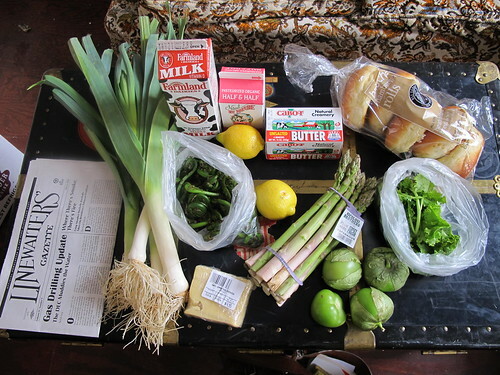 Leeks, fiddleheads, lemons, asparagus, cheese, tomatillos, mustard greens, brioche, butter, cream, milk, linewaiter’s gazette. I have a new favourite: the Smitten Kitchen’s Broccoli Slaw. It’s a salad of broccoli and cranberries and almonds and red onions, with a dressing made out of buttermilk. As a devoted mayonnaise avoider I love the idea of slaw that is mayo-free. I’ve used the dressing on other things too, most recently quinoa salad (made while Zach was making chicken salad–we used all the same additional ingredients: celery, apples, pecans, cranberries, but diverged in our paths when it came to dressing. He opted for mayo and I balked and grabbed the buttermilk). But buttermilk comes in one-litre containers and I don’t really need that much. So I’ve been making other things with buttermilk, including Lemon Poppyseed cake (taken from the Smitten Kitchen again, her lemon cake but with poppyseeds added–why would you ever make lemon cake WITHOUT poppyseeds? ), and this morning, buttermilk pancakes from the joy of cooking. So while we’re talking about food, I want to highlight just how fascinated I am with Fed Up With School Lunch, the blog of an elementary school teacher who is eating the school lunches everyday. It’s very simple, usually a photo and a short reaction, and the constant reassurance that this is not some big political statement from someone’s who’s been doing food and nutrition campaigning for a long time. 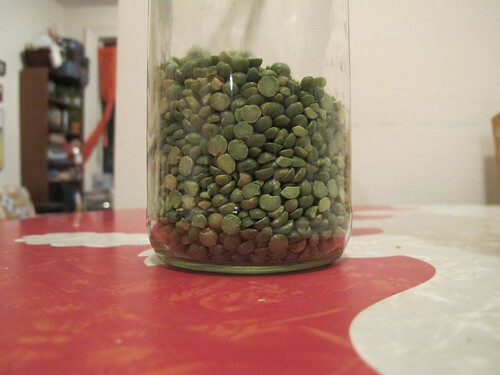 It’s a simple project–the blog’s description is “Eating school lunch just like the kids every day in 2010″–and the author is very clear that she’s no expert in nutrition. The’s a naive aspect to this that makes the project have a lot of impact. 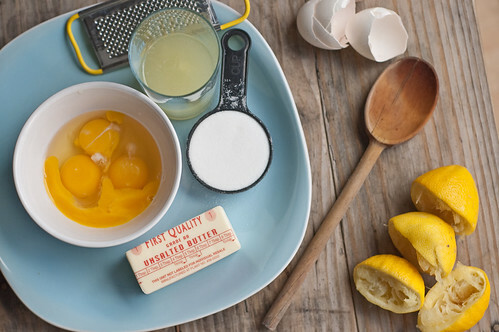 Also, on monday I’m taking a cooking class at the Brooklyn Kitchen Labs! It’s the chinese takeout class, taught by Cathy Erway who writes Not Eating Out in New York, and I’m very excited about it. 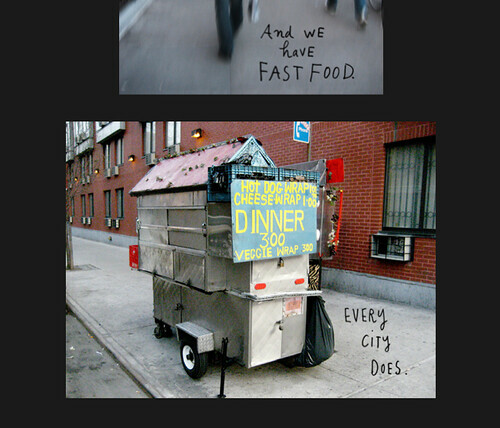 All of my work these days, for my final papers and such, is about New York and Food. So I sit in piles of photocopied printed and stapled articles and reports and draft legislation about food and agriculture and farm-to-cafeteria initiatives and maps of food deserts and on and on. It is wonderful. It makes me happy to read these things. The American Journal of Public Health Research and the Journal of Planning Research and Education do not have pretty pictures though. But this week there is new Maira Kalman in the New York Times! And it is about thanksgiving and food and bounty and cities. It is lovely, twee & smart at the same time. I saw a bottle of Canada Dry Ginger Ale in the store, with a big “made with real ginger!” front-of-package claim. The ingredient list, though, did not have ginger listed! Just high-fructose corn syrup and “natural flavours.” WTF, Canada Dry? No matter, because my ginger beer is almost ready! 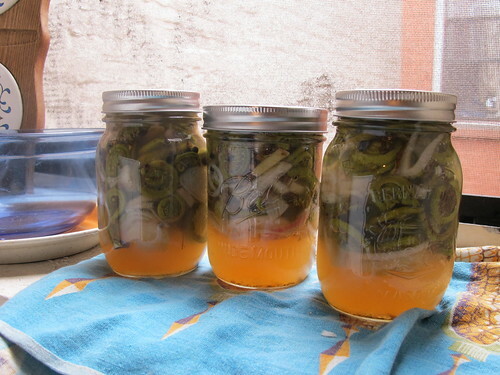 It’s easy to make–just start with some ginger bug, which is grated ginger and sugar in a jar on the counter, fed every other day until it gets all ferment-y. 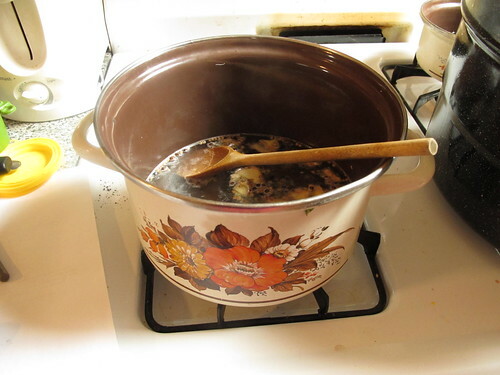 Then make some tea/syrup, boiling ginger with sugar (exact measurements available upon request), then pour that into an empty pop bottle with strained gingerbug. Put a lid on and let sit somewhere warmish for 2 weeks. Then refrigerate and enjoy! On one of the hottest days in July, I went over to Emily’s house to help with the canning of some jam and some dilly beans. 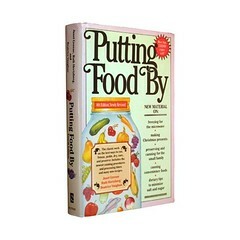 On her dining room table (the one that has all the food on it in that post about Brooklyn thanksgiving a few posts back), she had a copy of Putting Food By — the classic 1970s (revised in the late 80s) book about food preserving. I found my own copy of it at Value Village in Toronto and was thrilled. How often do you find exactly what you’re looking for on thrift store bookshelves? 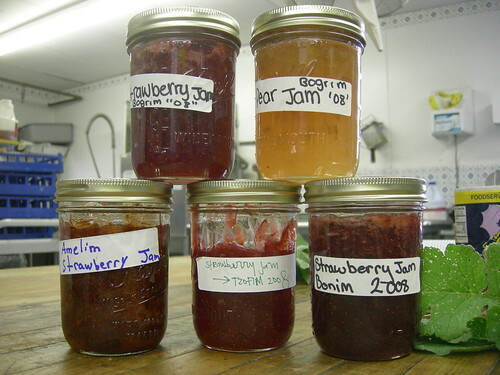 No-so-secretly, I’m excited that it’s no longer jam-making time…I’m a much bigger fan of salty and spicy things. I am particularly excited about making pickled mushrooms, pickled onions, maybe some beets, and some apple chutney. 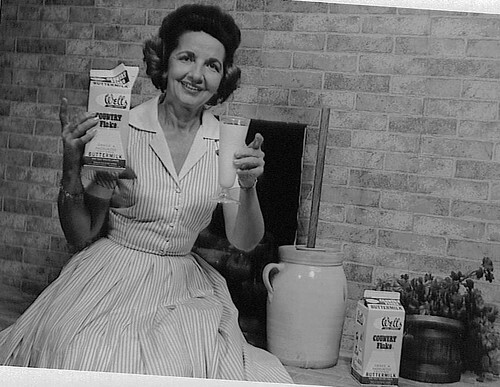 The USDA has really wonderful old images on Flickr! Look how excited I am about the USDA! 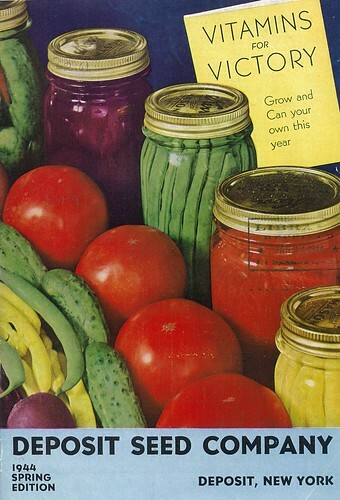 Here are two canning-related ones that I think are super. I found these through the Know Your Farmer Know Your Food website, which is the most beautifully designed government thing on the web. 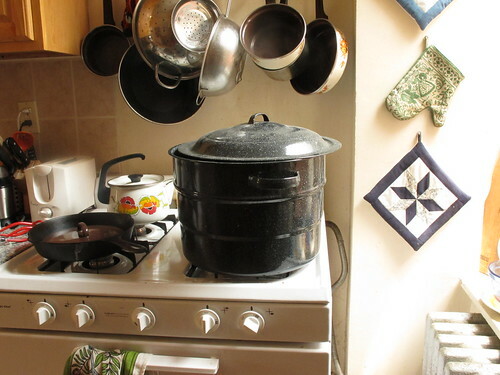 Also, I finally got around to buying a canning pot and tools–from Amazon of all places. (I still think it’s a bookstore, and I still I think I don’t shop there). Next year, I guess, unless y’all like pickled brussels sprouts. Everyday I write the book. Er, blog? This post from my dear friend Kirsten reminded me that last year I successfully participated in NaNoBloPoMo–and so even though it’s already the second I’ll give it a go this year as well. Hi Kirsten! (And Emily and Kurt with whom I participated last year, a slightly drunken pinky-swear sealing the deal). Yesterday I woke up late, ate eggs AND waffles for breakfast with Zach, watched Crooklyn, and then drove up to Connecticut for a long-weekend (election!) holiday at the farm-mansion with Anna and Naf. The night before was Halloween. Zach and I made matching Max-from-where-the-wild-things-are costumes (full disclosure: I am still wearing my grey sweatpants with the tail attached. I am a costume-obsessed 9-year-old this week) and then split up for the night. At my shindig Kelly was decked out as KW (with little stuffed owls tucked into her belt), so we had fun howling together. I tried to uphold the tradition of making waffles on thanksgiving, but Em’s waffle iron was mysteriously missing. So we had thanksgiving pancakes with corn salsa. Totally yum. There are a lot of empty storefronts in my neighbourhood, in what I think is a one-man gentrification scheme spearheaded by my landlord. In my estimation, he’s sitting on these spaces waiting for fancy coffee shops and boutique kitchenware stores to open up and attract more folks like Zach and I. I remember learning somewhere that landlords actually get tax breaks on vacant retail space, so there’s actually quite a bit of incentive for this sort of behaviour. 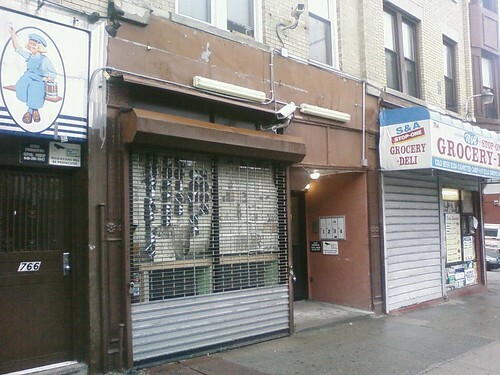 But nonetheless, across the street there’s been construction for a while on the soon-to-open Breukelen Coffee House (blogged about on I Love Franklin Avenue here). Exciting! Hooray! Now I don’t have to walk the full block to the Glass Shop when I need out of the house for some reading-and-coffee. Except, maybe not so much. 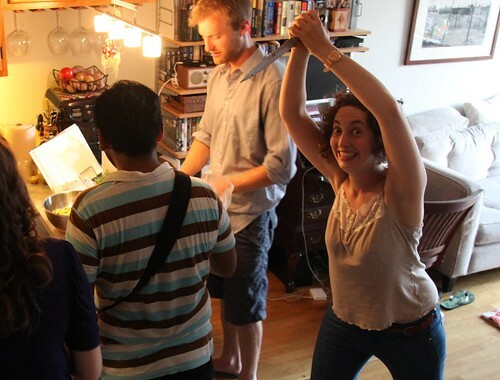 The Breukelen Coffee House is a holistic and organic coffee shop. Our intention is to serve organic whenever we can (we are aiming for 100% of the time- but it’s not always available and accessible). We are proudly serving Stumptown Organic Coffee. And organic milks: almond, hazelnut, oat and hemp milk. Milk will not be available nor conventional sugar. We will only be serving non processed, all natural sweetners such as stevia, agave syrup and Manuka honey. We’ll also have delicious organic smoothies! Equally important are the holistic workshops we’ll be holding. They will focus on proper breath, proper hydration, eating with ‘life foods’, etc, etc. Our motto is: Order anything from our menu without guilt! 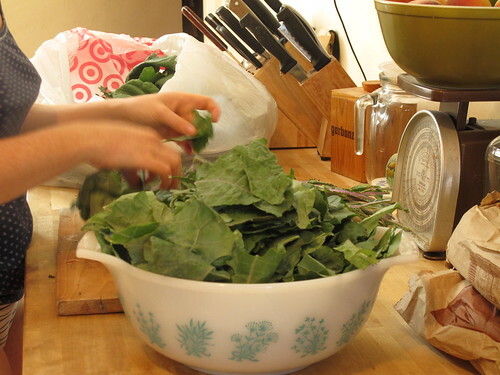 Holistic, healthy eating is what we do and where we pride ourselves. And here is a photograph of the space. It’s not my photo, but it could be, because this is pretty much what I see when I leave the front door of my apartment. It’s slightly unsettling to share a corner of the city with someone I don’t know who blogs about it all the time, with overly wide-eyed enthusiasm (look! a new bus shelter! ), but that’s neither here nor there. 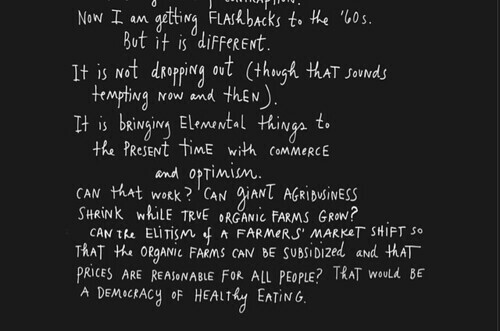 So the discussion on the board is mostly “milk please,” for a few different reasons, mostly “I want it” and “you’ll lose customers.” In truth, I would like real milk (which could be bought from Ronnybrook at the Grand Army Plaza farmer’s market once a week, and be walked over to the store and support local economies and upstate farms), and it probably will push people over the also soon-to-open cafe run by Tony Fisher of Fisher’s Market (actually the cafe which started the thread on the message board), who does a good job of keeping me away from his store by talking too much about the number of hot girls in the shop over on his twitter account. But really, this shop seems to be sending a big f-you to the neighbourhood, which is now mostly discount stores and roti shops and hair braiding. I would like more retail diversity, yes, but this just seems like it’s skipping over too many steps in a reasonable evolution, and ignoring a whole mess of people who really would just buy coffee and a brownie if they could. I think agave nectar and almond milk are good things (though I am much less fond of the reported hollistic health workshops–seriously, gag me with a spoon and then maybe buy me a beer), but to the exclusion of other things is to the exclusion of other people. I sometimes think that it’s silly that I live in New York because I don’t really care about all the stuff that goes on. A really good day for me is about bike rides, coffee, and making and eating food with good people. It’s not even that I’m content to miss some world-famous DJ spinning in some club–I don’t even know that it’s happening and I’ve never heard of the dude. 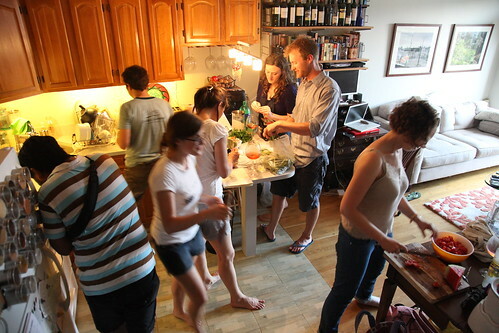 It’s a good thing that I live here though, because there are lots of good people who want to make food and hang out and dance around the kitchen and debate the merits of zucchini versus summersquash while shelling peas and drinking bottles of Brooklyn Lager. I appreciate it when these nights are informal and spontaneous, but a little while ago a group of very wonderful North Brooklyn friends and I started plotting and planning about something a little more structured. This group of friends includes photobloggers (Jake, Tanveer, and Joe), comicbloggers (Kenan), breadbloggers (Liz), food+bakingbloggers (Cate), and all-sorts-of-everything-bloggers (me and Emily)–so the logical conclusion was an over-blogged dinner party: The North Brooklyn Blogger’s Banqut (NB3)! 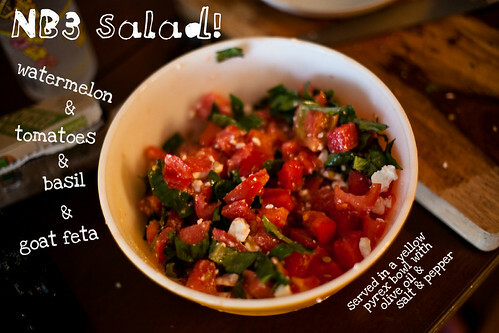 Inspired by Mark Bittman’s recent article about salads, I put together the watermelon-tomato-basil-goat feta salad pictured above. I picked up most of the ingredients on saturday at the Grand Army Plaza Greenmarket and the Park Slope Food Coop, and got the watermelon from Nam’s* on Sunday on my way up to Greenpoint (to Liz & Joe’s) for the event. THEN: we shucked corn and shelled favabeans and snapped photos and danced around eachother in the kitchen and stirred and baked and put things in the oven and we used all the knives and bowls and cutting boards and we rearranged things in the fridge and took things out of the oven and we stirred and took more photos and peered in the the neighbours backyard and got caught in a rainstorm and drank rose and played with some puppies and made a mess and cleaned it up. And then we ate dinner. And now we’re talking about doing it again before the end of the summer. The same principles will probably apply: no spectators. Well, no spectators at the event, only afterward. Read everyone’s takes on the evening! 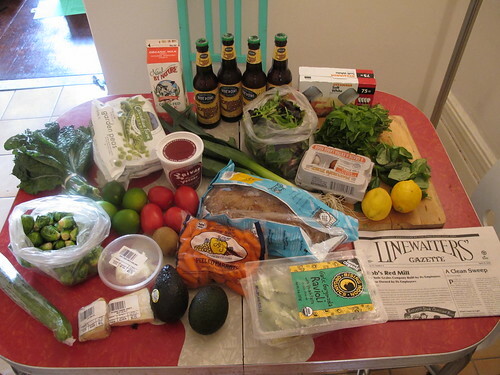 *I don’t love Nam’s like the dude who writes I Love Franklin Avenue loves Nam’s–it’s too pricey and the produce isn’t particularly awesome or plentiful–but I’m glad that it’s there. I’ve been telling all of you about this, but coming up soon–December 9th–is Gastrophonic Stimulation, an evening of music and food at the Bowery Poetry Club. I’m making latkes, so is Shira Kline, Leah Koenig and Avigail Hurvitz-Prinz are making Eggnog, Avi Fox-Rosen and a large assortment of wonderful individuals will be playing music. It will be an evening of serious sensory overload. It will be awesome. Tomorrow is thanksgiving! 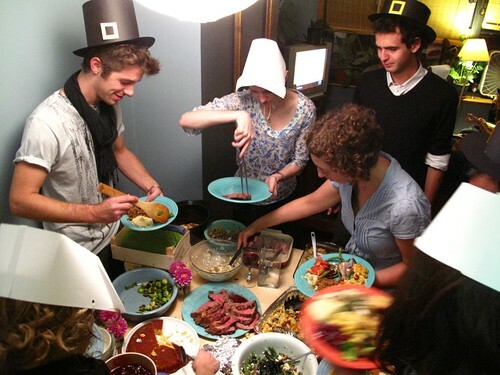 My first American thanksgiving! I am going over to the lovely Emily’s house, and making savory waffles from the Rebar cookbook. 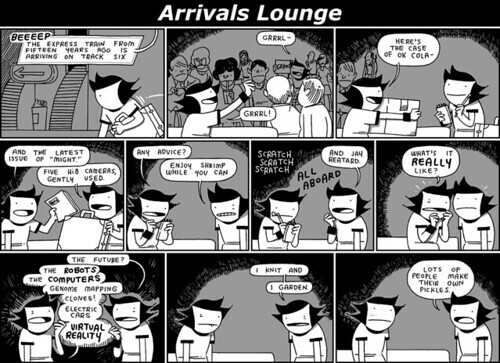 (I made them once, about 4 years ago, and swore I’d never do it again, they were so time consuming…). And yes, while I like to pretend that I don’t really understand how America works, I do know that waffles are not a traditional thanksgiving food. But my favourite favourite thing about thanksgiving…Hand Turkeys! See how Jon and Rachel are comparing the size of their hands? This activity was either right before or right after Jon made his first Hand Turkey. It was a thrilling moment. That last one, of course, is from the often brilliant Toothpaste For Dinner. Here are more pictures of the brunch party because this holiday is all about eating delicious things with people you like. A few weeks ago when I was up visiting Anna at the farm, we went to a cider party nearby. People brought boxes of apples and milled them and pressed them using the massive cider press. 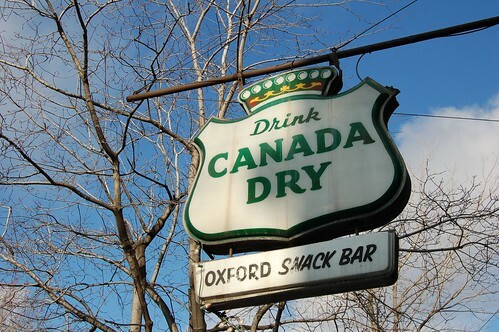 We hung out outside for hours eating food (cider doughnuts!) and drinking the sweet apple cider (different from juice in that it’s not filtered). I was not sad to switch the calendar to November (or have Emily switch it); it’s just as beautiful.